Once you’re finished with your menu select the “Save Menu” button. 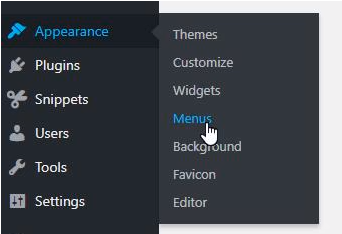 On the left side - Select a page and click 'Add to Menu' - New menu items will always appear last on the list to the right. 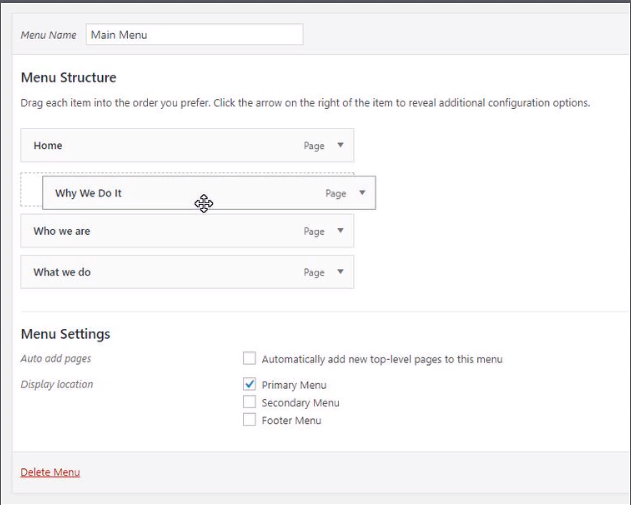 To re-arrange the order of the menu - Click and drag - Let go when in place. You will see a square dashed line behind the menu item while moving - If you move the item to the right it will nest the items to the above item. 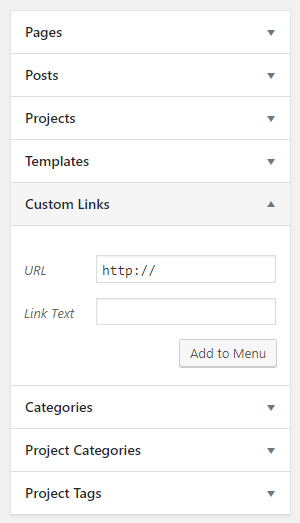 This is how you get dropdowns/sub pages in the main menu.